Cideries, breweries and coffee roasters make the most of the region’s extremes. It’s not a region known for moderation. 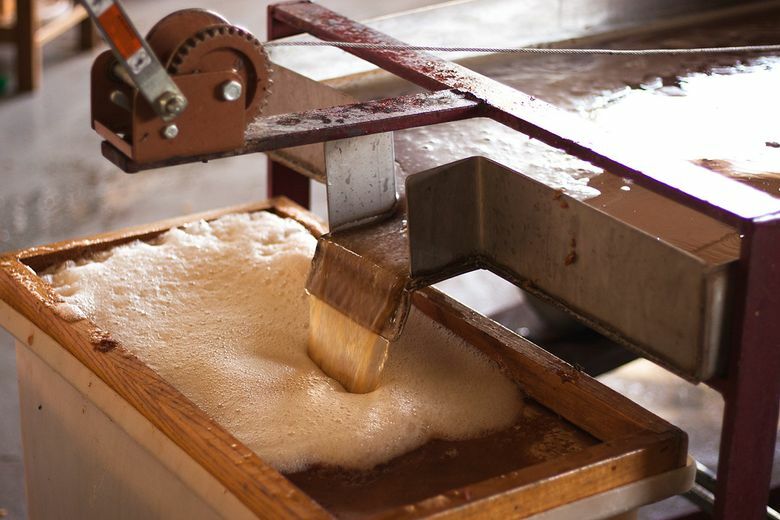 That’s why a trip to Okanogan Country to explore the various cider houses, breweries and coffee roasters is not likely to be a disappointment to the palate. A shock, perhaps. Awe inspiring, possibly. Enchanting? Most assuredly. Their flavors, like their landscapes, are for the adventurous at heart. And one of the most intriguing tastes emerges from medieval times, crisp and chilled in a tall, frosted glass. 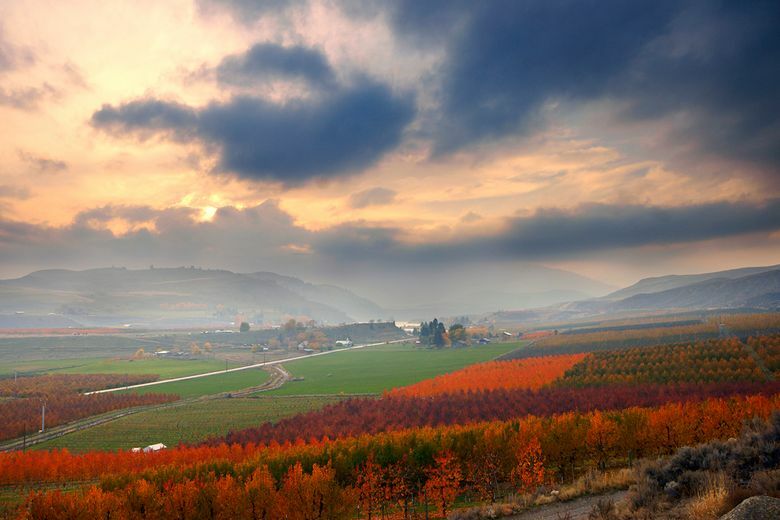 Sip an award-winning, single-varietal cider from the ancient Foxwhelp apple, circa 1600s, grown organically at 2,000 feet and pressed by hand in Okanogan Country at the Methow Valley Ciderhouse’s own orchards up the East Chewack. The cidermaster, David Thompson, has eyes of a curious intensity. He studied neurobiology but found life in the laboratory wasn’t quite right for him. 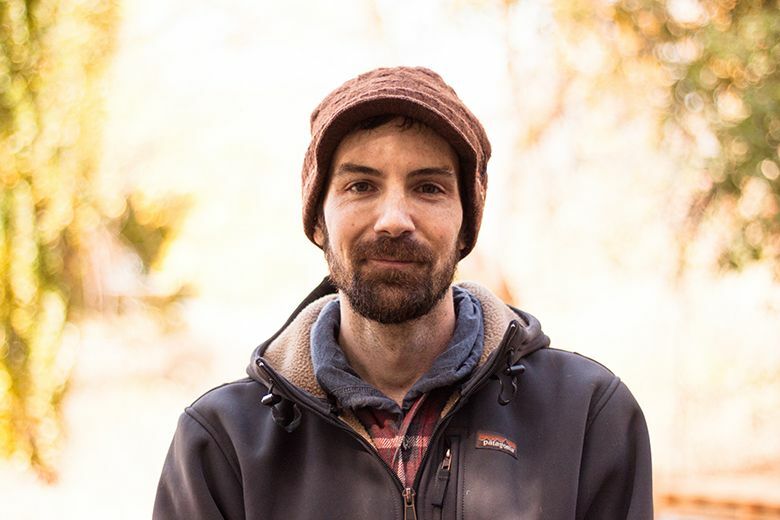 Rock climbing led him to the Methow, and something about the combination of cidermaking’s “outdoor laboratory” and the wild smell of freshly pressed apple skins made him a career cidermaster. 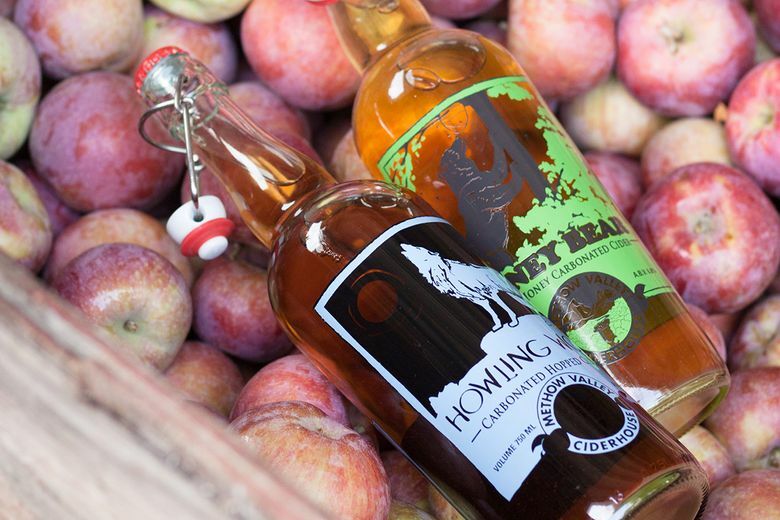 There are three “orchard to glass” cideries in Okanogan Country — Ole Swede Cider, Sixknot Cider and Methow Valley Ciderhouse — each with their own particular style and blends. Most are not single varietals, and most of the apples are not the kind found at the grocery store. Methow Valley Ciderhouse cidermaster David Thompson. Cider apples are grown and cultivated for cider, not eating. They are sometimes referred to as “spitters,” according to CiderSchool.com, due to their tart, bitter flavor. 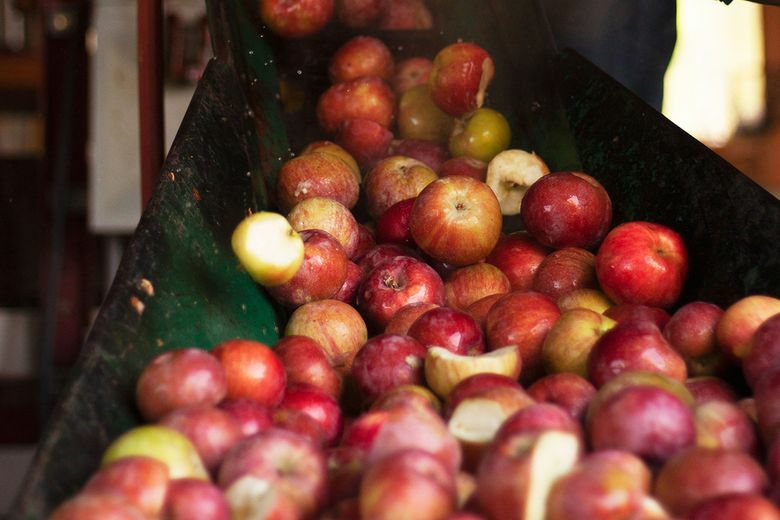 While the tannic bite doesn’t make for good eating, it adds color, body and balance to a cider that might otherwise be too sweet and lack depth. The apple variety names sound like dreams of the American West (indeed that’s what Johnny Appleseed was actually doing — planting cider apples across the prairies as he went): Gold Rush, Liberty, Arkansas Black, Northern Spy, Crimson Crisp, Stayman’s Winesap. 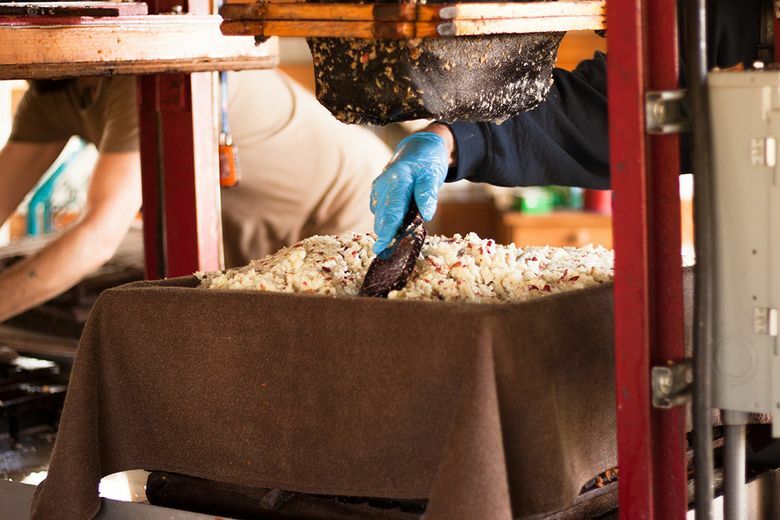 In Okanogan Country, all three cideries focus on locally sourced and hand-pressed apples; on family and roots; and on the beauty of the landscapes, blue skies and rosy apples that find their way onto the taste buds. 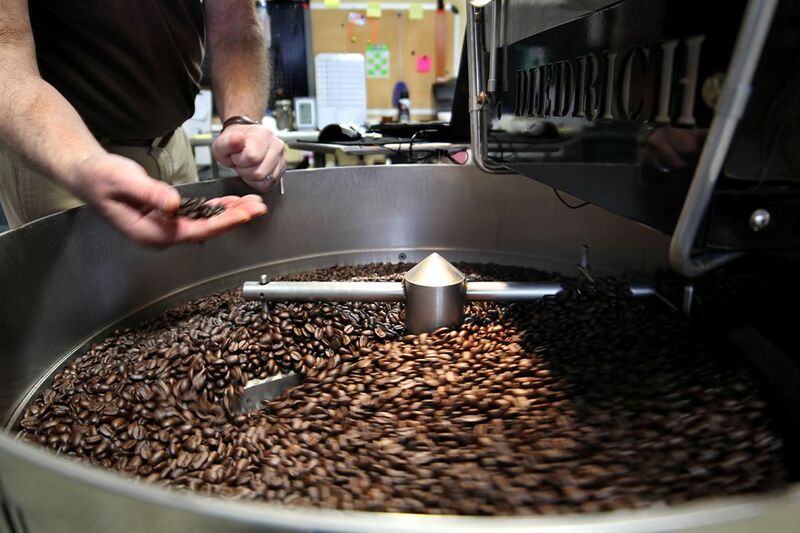 Freshly roasted beans at Lariat Coffee Roasters. Along with cider, there are plenty of other sippable pleasures to be discovered in Okanogan Country. Lariat Coffee Roasters, freshly roasted, dark and vivid, promises coffee “as big, bold and spirited as the land in which it is roasted.” And if Lariat’s rapidly growing, nationwide following is to be believed, once you’ve tried Lariat Coffee, there’s no going back to any other kind. For a singularly delicious experience, check out the Alpine Brewing Company in Oroville, famed for their German-style lagers. Brewer Bart Traubek has earned some fame for his creations, but few have actually been to Oroville to sit down at the brewery and enjoy the North Okanogan culture along with a sampling of rich, bold and flavorful lagers. Also worth a stop: Old Schoolhouse Brewery, with a pub in Winthrop and a taproom in Twisp. No matter where you travel in Okanogan Country, stop at every chance you get to sample the flavors — and the culture, friendliness and authentic hospitality — of Washington’s largest county. Free guides and maps at www.OkanoganCountry.com.